As a single parent, finding and financing a home can be especially daunting and challenging, which is why there are many government and private home buying assistance programs out there to help you do just that. All people, especially children, have a basic right to shelter. Don’t assume that you are alone in your quest to take care of your family. There are plenty of people in the same boat as yourself and plenty home buying assistance programs that exist to help ease your burden. If you are a single parent who is beginning to despair of ever finding a home for your family, know that there are many government home buying assistance programs out there for you. The government is more than willing to assist you and your family find a safe place to live. If you apply for a housing grant you will have to apply for it on your own behalf and not that of an institution or anything similar. You will also have to comply with whatever assurances are considered necessary for the particular grant you are applying for. You have to be a US citizen that has been living in the US or in a US Territory for at least three years to apply. There is no need to despair if you are a single parent as there are numerous government assistance programs to help you deal with all of the burdens that you will face as a single parent, housing included. The best place to look for such grants and programs is on the internet. Do your research carefully as there are different requirements and application programs in different areas, and the requirements for the various programs change annually. 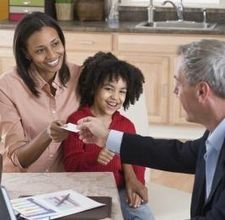 There are various home buying assistance programs available to single parents to help ease your burden. One of the most well known sources for housing assistance is the Department of Housing and Urban Development, or HUD. The Department of Housing and Urban Development aims to provide equal housing opportunities for American citizens. This department has many resources at its back to aid many people, including single parents, in their quest to buy a home for their family, and they aim to provide affordable home financing to all. The HUD will also be able to assist you in applying for and securing FHA loans. FHA loans are a type of mortgage that are approved by a Federal Housing Assistance agency, and that allows lower income families to buy homes that would have otherwise been outside of their price range. You are also not limited to living in a subsidized area as the program will allow you choose any house you like, within reason, meaning that your right to choose and decide for yourself remains intact. If you would prefer to rent, there is also the Housing Choice Voucher Program, one of the government home buying assistance programs that falls under the Department of Housing and Urban Development. This program will allow you to choose where you want to live from a selection of homes, paying the subsidy directly to your landlord each month. The difference will have to be paid by you to your landlord in the form of rent. These types of home buying assistance programs are only available for low income families so your annual gross income will be taken into account. To receive housing assistance you will need to fall into one of the applicable categories of an elderly person, a disabled person, or a single parent family. You will also need to be a US citizen or have an eligible immigration status. To apply, contact you nearest Housing Assistance agency or you local HUD. As the Department of Housing and Development only aids those living in cities and town, there arose the need for a similar program focusing on the rural area. This program, known as USDA, is one of the best home buying assistance programs available for single parents living in rural areas. There are different qualifications for this program as compared to HUD, but single parents should have no trouble qualifying. To qualify for this loan you must earn no more than 115% on the median for your area. 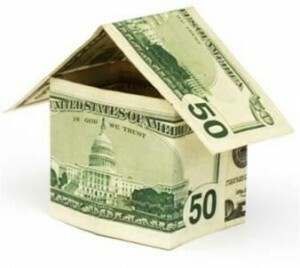 You must be unable to afford a home yourself, while at the same time being able to make the USDA loan repayments. You will have to have a FICO history of above 620 in order to be eligible for this loan. If you have been bankrupt in the past you will only be able to apply for a USDA loan if you have been discharged from Chapter 7 bankruptcy for seven years or more. There are no down payments to worry about when it comes to USDA, but the property you eventually get will have to be Owner Occupied. The internet is also a fantastic resource when it comes to finding non-governmental assistance programs for single parents. There are numerous private home buying assistance programs out there, you just need to take the time to look and find the best one for you. Churches, for example, often have housing programs to assist those who do not have the same opportunities as the rest of us. Often you will find that these programs are more flexible and easier to get into than the government programs. Even if you are not provided with direct housing or financial assistance, you may be given a nudge in the right direction. If you are able to join single parent forums to discuss your problems and needs you may find that the answers to all of your problems will become clear. This private and non-profit organization is among the best private home buying assistance programs. This charity aims to assist not only single parents, but also other individuals who may need housing assistance as well. Resources are often limited, and not all of the services usually offered are available everywhere, but it can’t hurt to contact your nearest Catholic Charities USA office to find out more. Catholic Charities will not discriminate against you based on your faith, and will provide assistance to all who qualify. This is a non-profit organization, and is one the most dedicated private home buying assistance programs available. Mercy Housing aims to provide housing assistance to single parents as well as seniors and others in need. They are well aware that, as a single parent, you may not have access to the opportunities that other people have, and that you may not be able to shelter your family in a healthy, safe, and secure environment. Mercy House aims to alleviate poverty, thereby allowing all US citizens to grow to their full potential. With their core values of respect, justice, and mercy, they aim to provide safe housing for all. This society offers assistance to people on an individual basis. Either you will be given money directly, or there will be some sort of bartering system that you will have to engage in to receive the funds you need. This Christian organization believes that they must follow the tenants laid out in the Bible for helping those in need. They will be able to provide you with temporary housing assistance while you get yourself and your family back on your feet. This is yet another of the many home buying assistance programs that exists to help you and your family find a home. Being a single parent is challenging, especially if you are struggling to find a safe home for you and your family. ADDI exists to help you with the initial down payments and other starting costs for securing your home. To qualify for this you must be a first time buyer. This means that you and anyone who may assist you in buying the property cannot have owned a house for the three years prior to applying for ADDI assistance. There is no reason to be despondent or to feel isolated and alone. Far from being alone there are many other people in the same position as you who simply need some assistance or a nudge in the right direction. If you feel that there is no one out there to help you, you are wrong. As we can see there are many home buying assistance programs that exist for the sole purpose of helping you find the family home of your dreams. Previous Previous post: What Is Best For You – Foreclosure or Bankruptcy?